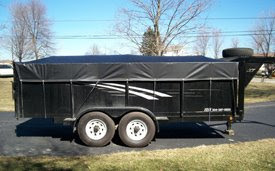 Tarps Plus Blog: Do You Need A Utility Trailer Tarp? Mildew proof, Tear Resistant, Acid Resistant with Artic Flexibility. Take a look at our trailer tarp section on Tarpsplus.com. Great Utility Tarps will be doing business again. Our trailer tarp was delivered right on time! !